Lissa Bryan: Title Chosen for My New Tudor Novel! Title Chosen for My New Tudor Novel! I was using the working title, Daughter of the Wind and Waves, for the novel, which I liked, but wasn't totally committed to... and then I saw this. 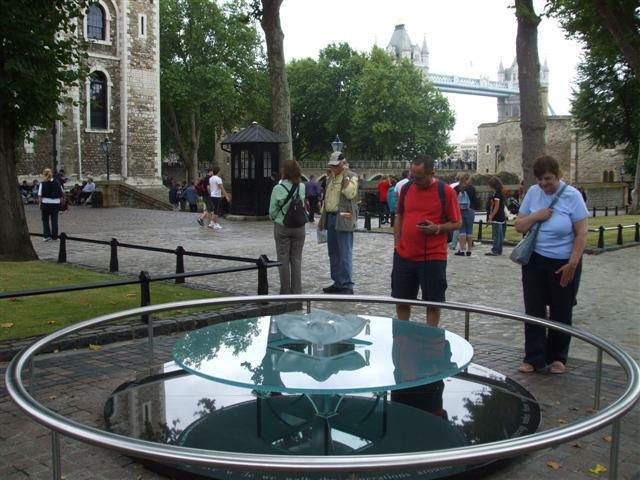 This is the memorial erected in the Tower of London to honor the memory of those who lost their lives on the Tower Green's scaffold. When I read that last line, I knew I had my title. It was like falling in love, having an epiphany, being thunderstruck... I got goosebumps. I still do, every time I read that poem. This is not the cover; merely something I whipped up for the announcement, though I do love the ominous nature of the image. 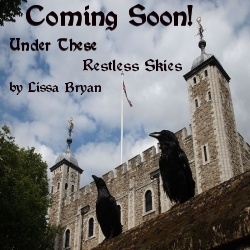 Under These Restless Skies is due to be released in early 2014. Thank you! I'm so happy I'm able to use it. I kept telling myself not to be disappointed if it turned out I couldn't... but I knew I would be. The title just seemed to FIT it perfectly. "Daughter of the Wind and Waves" would have been fine and I liked it, but this one is just PERFECT. That is amazing how you fond your title for your book. I wish I could figure out the title for my book instead of my working title for my novel. 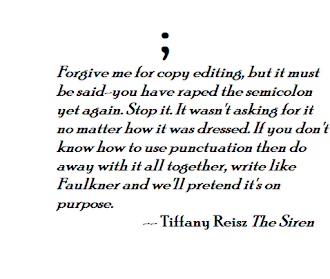 Titles are never easy because you're trying to encapsulate an entire novel in just a few words. The title for "The End of All Things" was originally just "The End." But just before publication, I found a book with the same title. Not usually a problem, but in this case, this title AND the title for my proposed sequel were the same. "Ghostwriter" was my working title for the first novel and it's the one I ended up keeping. It refers not only to the heroine's profession, but to the ghost that haunts the island. I wasn't sold on it at first, but it sort of grew on me. Thank you, Raum! How would you liked to do the cover reveal, when it's ready? SoapyMayhem is the one doing the design. I love a title that carries so much weight. Great choice, hon'. Thank you! It's like a piece of the puzzle fell out of the clear, blue sky. Congrats hon. 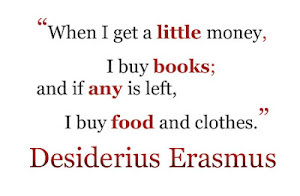 That is a beautiful poem! 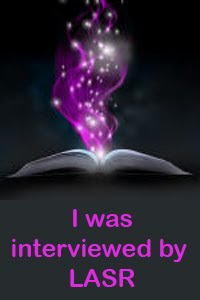 It's so great that you found your title this way and are able to use it ;-).